This is a very nice 1882 $20 Gold Certificate, All of the 1882 $20 and especially the $50 dollar gold certificates are very difficult to find without any repairs. I have been looking for one with a EPQ or PPQ notation, but they have not been around for the last several auctions or shows. I liked this note because it was problem free with real dark and vibrant gold colors on the reverse. Most of the gold certificate are faded due to past cleanings and natural fading. 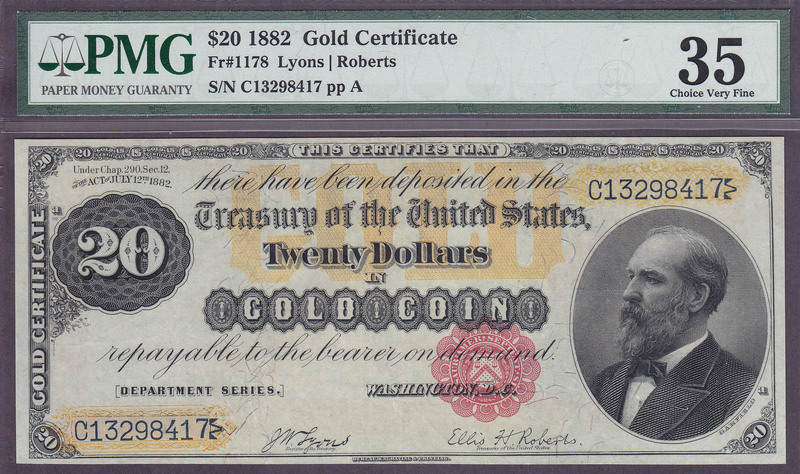 I also purchased a 1882 $20 gold certificate in a PCGS-50 holder which may still be on the website. 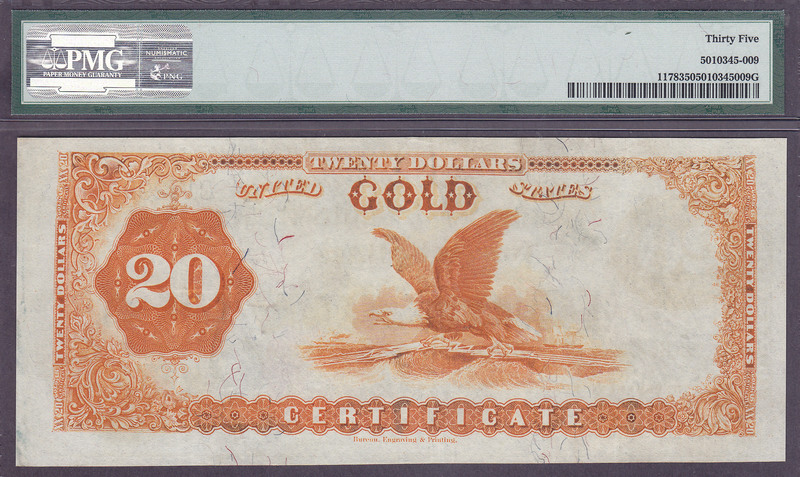 If you are in the need of a nice 1882 $20 Gold Certificate that has some of the best coloring you can find, this is a must consideration. 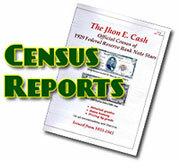 The serial number is C13298417 and is in a problem free PMG-35 holder.